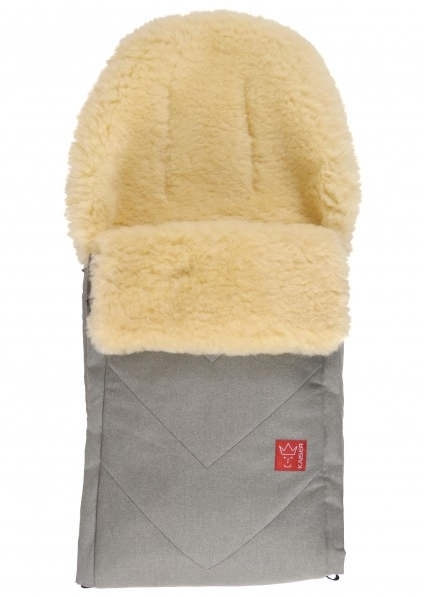 Footmuff made of original lambfur. 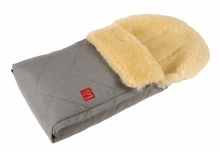 High quality lambskin footmuff with special medical fur on the inside and extra cover with lambskin. The inner part is completly made of lambskin. Fits into all usual stroller modells with enough belt splits and anti sliding proteciton. The all around zip with two zips makes a use as underlay possible. The front part is completly removeable. The surface texture is dirt- and water resistant and breathable. There are reflectors in the foot area. useable with temperatures up to -15 degrees. For the pure vegetable tanning Kaiser uses Mimosa tannin, which is obtained from the bark of the Mimosabaums. 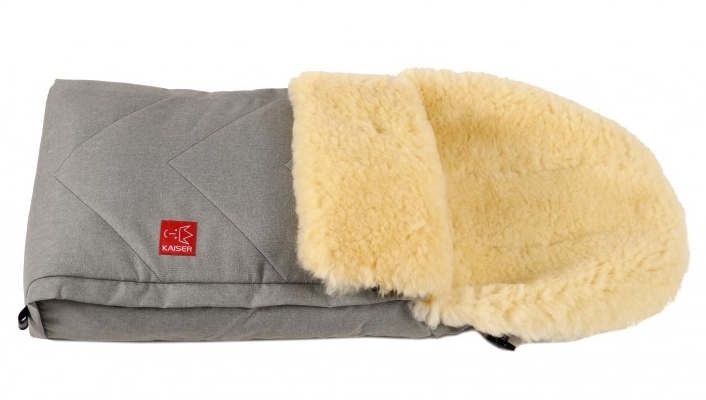 The lambskins are not aggressive pre-treated or dyed. The original pigmentation is retained, the natural characteristics are not covered. It creates a natural beige.